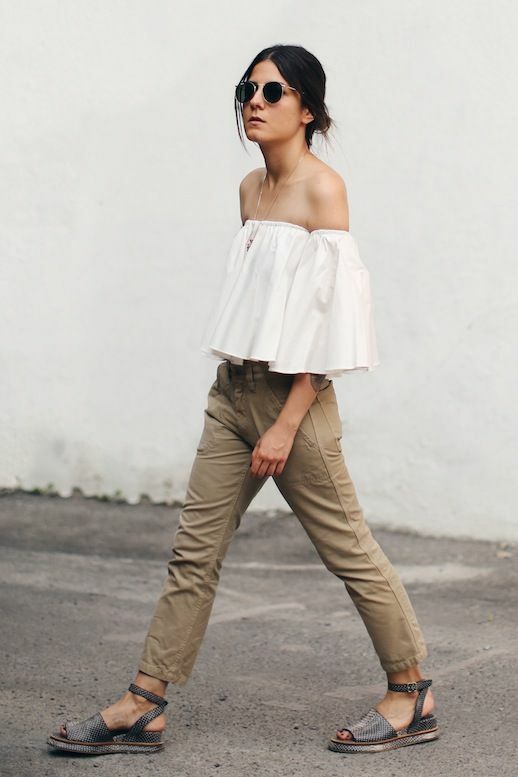 Elif brilliantly put together a cool, neutral look that we can't wait to try before the summer is over. 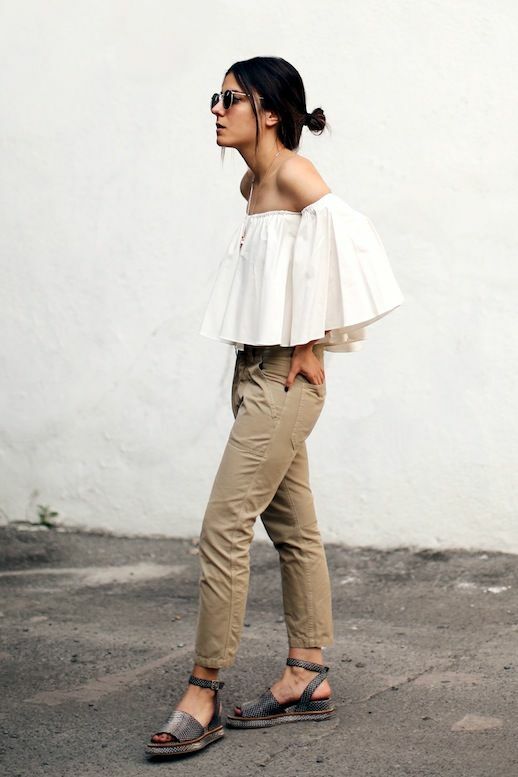 Our love for off-the-shoulder tops is still going strong and her ruffled cream version is certainly no exception. It looks especially great with her khaki cargo-style pants and textured sandals. The low bun definitely keeps it feeling effortless.